Hi there, my name is Eileen Thornton. I am a 4th generation Psychic reader and holistic therapist. Being a natural empath, I connect and resonate with my clients in a very nurturing way, putting them at their ease so that reading with me is a positive experience while speaking in truth. With the help and support of my 'guardians of the earth', my angels and spiritual guides, I endeavour to deliver to you the most accurate and precise guidance possible. As a natural catalyst for health & wellness both physically and spiritually, I am constantly shifting and evolving to new things and higher awareness, always expanding my consciousness. My passion is helping and empowering people while enabling them to find, explore and live their true life purpose. I have studied many modalities such as Reiki (I am a Reiki Master and teacher), Kathara Healing, Access Consciousness Bars, Emotional Freedom Techniques, MTSV, Non-Surgical Facelift, Non-Surgical Eye Therapy, Law of Attraction and much more. I also facilitate House clearings, Space clearings and personal negative entity clearings. 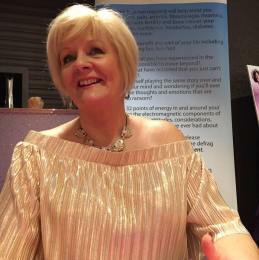 I am available for Phone Readings, Facetime Readings, House Parties, Hen Parties and Corporate events.P lease friend me on FB and I will join you to my Wellness FaceBook Community where you can find out more about my latest Super Wellness Project.